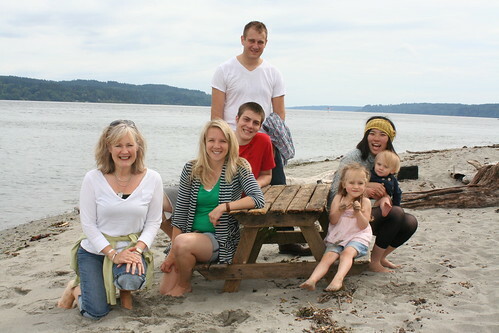 Some Bulthuis' and Sassa on Southworth Beach, a photo by Southworth Sailor on Flickr. This weekend we were able to connect with the family. We missed Steph who was connecting with her scattered family, But Markus, Bjorn, Jenny, Ada, Ruby, Calvin and his girlfriend, Sassa all came to Southworth. We hung around, showed Sassa around Port Orchard and ate several delicious meals,The girls really enjoyed Sassa; and though the time was short, it was sweet. Esther is still rapping up things at work, so it is pretty hectic trying to prepare for our upcoming trip to Hawaii.